We do Japanese language lessons in Sydney, CBD. 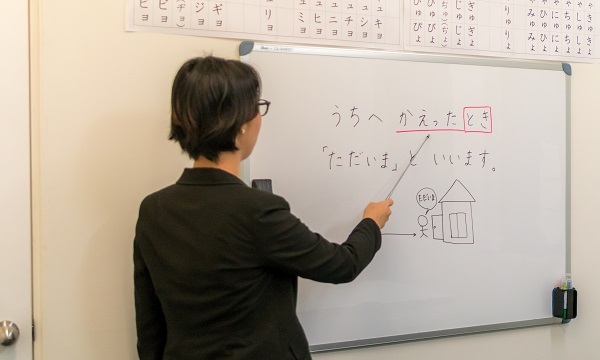 If you're interested in learning Japanese, JAPANESE SYDNEY offers wide range of Japanese language lessons from beginner to advance for 6 days a week. Our teachers are all native Japanese speakers with teaching certification. So, you can meet real Japanese language and people. And they will help you in the best way so that you can understand and speak Japanese steadily. You can choose to learn once or twice a week for 50 minutes or 80 minutes with a small group of students. Our average group size is around 4 students. Or you can enjoy the flexibility and convenience of our private lessons. And conversation practice class is also available. Please click here for our lesson timetable. You may also find out more information such as JLPT, study in Japan. Different people learn Japanese for different reasons: to prepare for a personal or business trip to Japan, to pick up another foreign language as a hobby, to understand manga and anime and more. The 2019 Rugby world cup is held in Japan, then the 2020 olympic in Tokyo and the 2025 world expo in Osaka. What a good opportunity to study Japanese! Any other inquiries please contact us below.